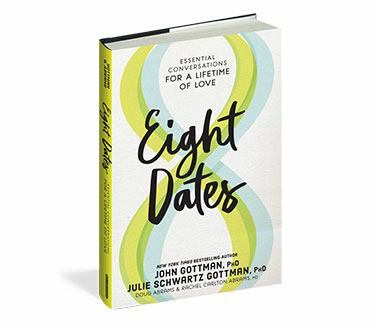 From the country’s leading relationship experts, authors of the million-copy bestseller, The Seven Principles for Making Marriage Work, and founders of the world-renowned Love Lab, comes Eight Dates: Essential Conversations for a Lifetime of Love by John Gottman and Julie Schwartz Gottman. This program of eight lively, conversation-based dates will result in a lifetime of understanding and commitment, whether you’re newly in love or have been together for decades. Eight Dates is like having two of the world’s leading relationship scientists at your table coaching you on how to address the topics—from trust to money to dreams—that make or break relationships.